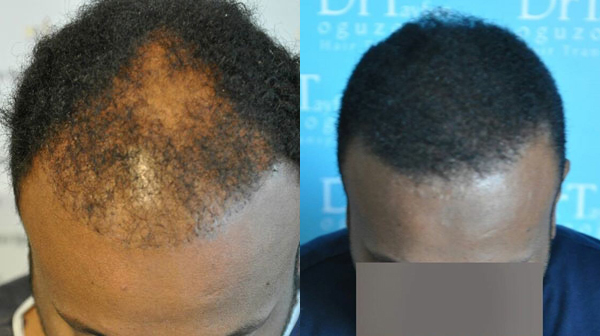 But many of the patients asking … is hair transplant results permanent ?? At best, the transplanted hair will grow as well and for as long as the hair in the area the transplants are taken from. My own experience with transplants over the last 35 years, is that hair loss has continued relentlessly for me. Not only has the area affected by mpb grown in size, but the transplants themselves have been weakening over the last five years, possibly even more than the hair in the original donor areas have weakened. It’s possible that transplants are either damaged in some way from the trauma of transplanting, which results in a shortening of their productive livesspan . . .
Or that the transplanted follicles slowly over time “absorb” the susceptibility to mpb from the surrounding tissues in the recipient site. That last should be no surprise to any of us who have been told by transplant doctors that when body hair is transplanted to the scalp, the body hair often or always grows longer than it would if it were still growing on the body. That suggests the transplanted body hair follicles are being influenced by recipient site tissue. If body hair follicles take on many characteristics of scalp hair follicles when transplanted to the scalp–as many hair transplant doctors tell us–why wouldn’t follicles transplanted to the scalp also take on the characteristic of male pattern baldness susceptible follicles, either by ceasing to grow hair or by growing weak hair? And finally if nothing else, I will remind you of the phenomenon known as senescent alopecia. Look it up. AND OPEN YOUR EYES: Look at older men, those with hair and those who have horshoe baldness. Look and see how thin the hair on the sides of their heads is. You can often see right through to the scalp. Why is the hair on the sides and back of the heads of older men, so often see-through? Ask the doctor what senescent alopecia is (you should research it before asking, to get an idea how common it is). Now I’m not saying don’t get a transplant, but understand that it probably won’t last (in my case, the best results of my series of transplants lasted only about 4 years. But they were the best four years of my adult life since going bald in my late 20’s. Now 30+ years later I have see through hair and a scarred head. But for those 4 years of being almost normal, it was worth it. I just wish I knew ahead of time that 4 years of optimal results would be all I’d get. I would have made better use of the time. 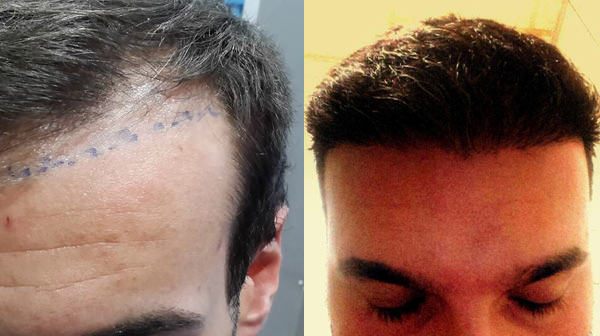 Last two days i met some the patients who already have taken hair transplant surgery . some of them were satisfied with results and other were just feeling uncomfortable . now, i personally come to conclusion that hair transplant results depends upon the type of hair someone have. Check out the results, i have collected through whats app. With 23 locations across India could you please tell us more about who performs the fue transplants - doctors or tech’s? Well, Hair transplant surgery is performed by experienced hair transplant doctors or surgeons. Technicians may be in the supportive staff of the Doctor.usually surgery is done by Doctors. Please provide disclosure that you are posting on behalf of your clinic so that our users know they are chatting with a clinic representative.